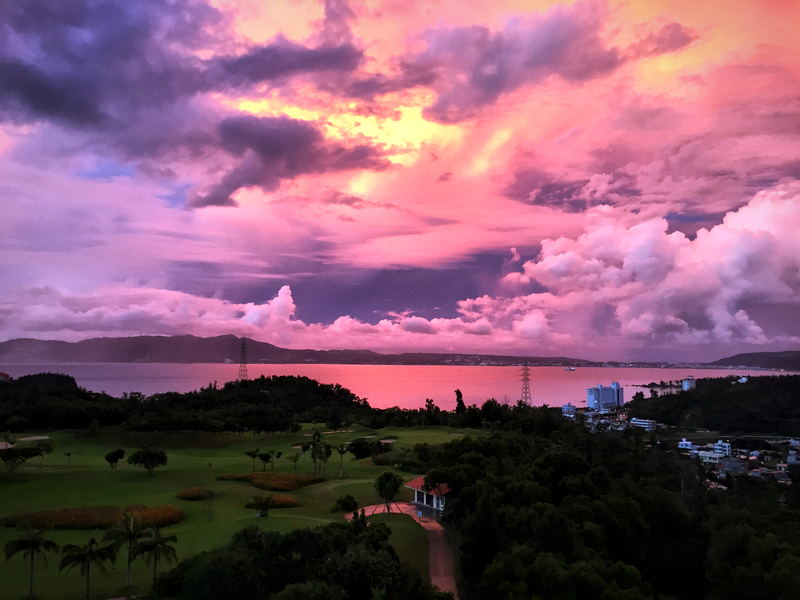 Okinawa - why, how and when to go? Home Destinations	Okinawa – why, how and when to go? So what and where is Okinawa then? Okinawa is an island group a few hours by plane from Tokyo between mainland Japan and the island of Taiwan. It is often called the Hawaii of Japan, so perhaps that will give you a slight idea of the area. Maybe the most important thing you need to know is that Okinawa used to be a kingdom separate from the rest of Japan. This is why they have developed their own culture and even their own language. People in the Okinawan islands live longer than anywhere in the world, so maybe their diet and laid back attitude are something we could all adopt into our lives – and the sunshine of course! 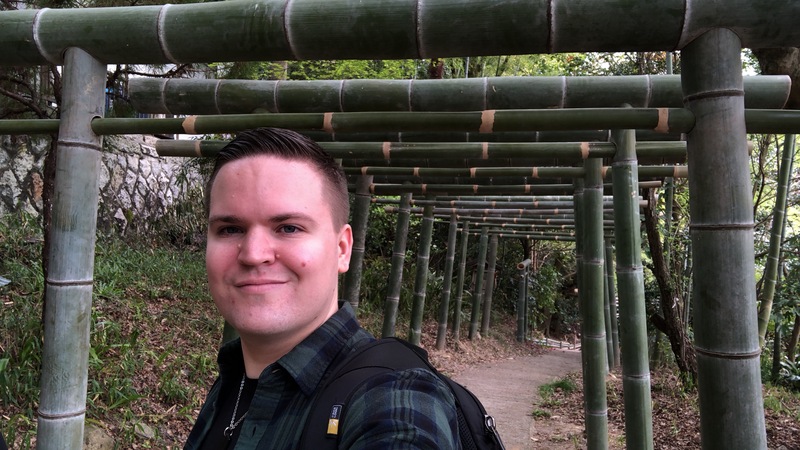 I only have limited experience of the main island of Okinawa, so unfortunately I can only scratch the surface with this blog post, but I’ll do my best. There are smaller islands with more wildlife and impassable jungles close to the main island that I never visited, but have heard great things about. Okinawa in itself is a fantastic destination where you can enjoy all kinds of water sports, hiking and just relaxing on the beach. We opted to spend our honeymoon mostly enjoying everything our hotel the Ritz-Carlton Okinawa had to offer, but there really is much more to do, if relaxing by the pool or in the spa isn’t for you. 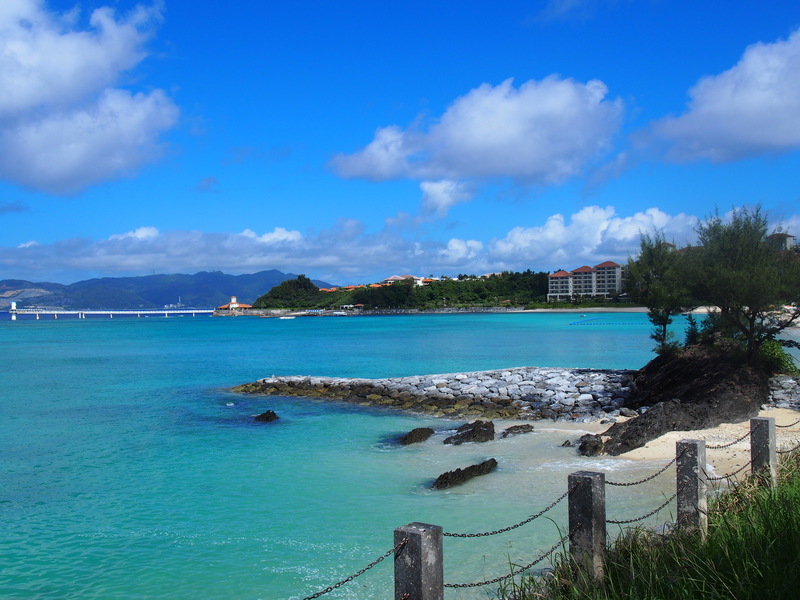 Okinawa happens to be situated in a great location regarding bigger cities and their airports. 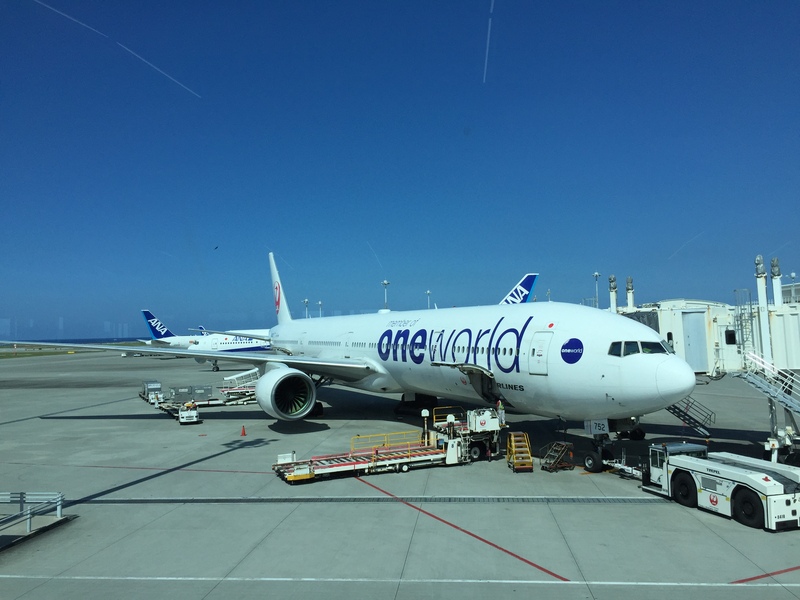 From Japan there are many routes including Tokyo and Osaka, but also international flight routes like Taipei, Shanghai, Beijing and Hong Kong. I usually need big city life on my holidays, but it’s fantastic to be able to get away from the hustle and bustle of all of that for a while by hopping on a plane and heading to a paradise island a few hours away. Okinawa is just perfect for this. 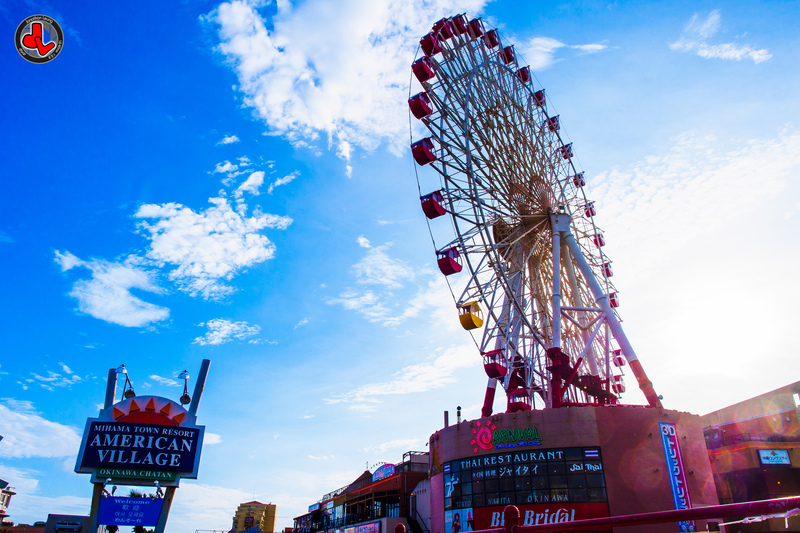 For example you can spend your time shopping, sightseeing and partying in the neon lights of Tokyo for a week and then take a Japan Airlines flight to Naha airport in Okinawa. If you buy your tickets well in advance, it can be really cheap to upgrade from economy to business class. I did this for 1 000 yen (approximately 8 euros) per person one way. There was no food included, but we got far better seats and more space overall, so it was well worth the money. 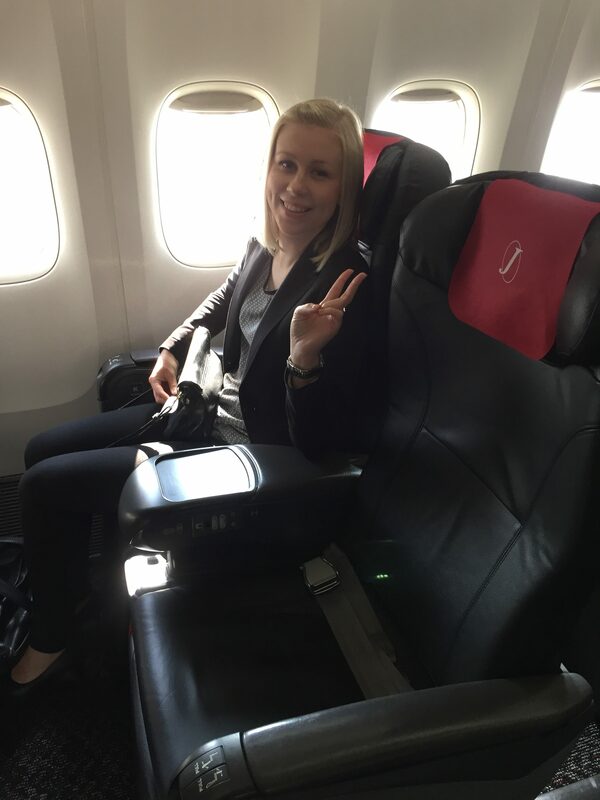 I also tried to get us into first class, but our upgrades via the waiting list didn’t go through, because the flight was full. That would have cost about 10 000 yen more, so it would have been worth it for us. 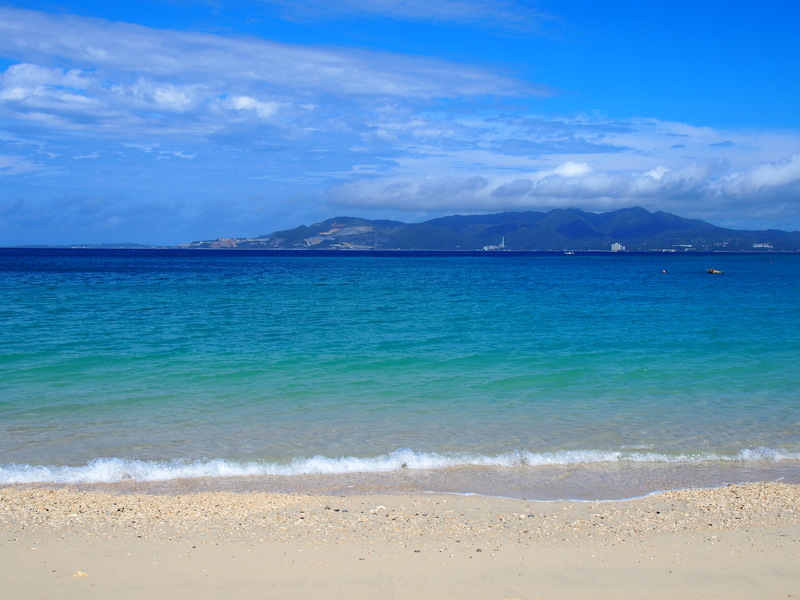 In addition to the Okinawan capital of Naha, there are of course paradise beaches with crystal clear turquoise water, deep green forests and hills with great hiking possibilities. 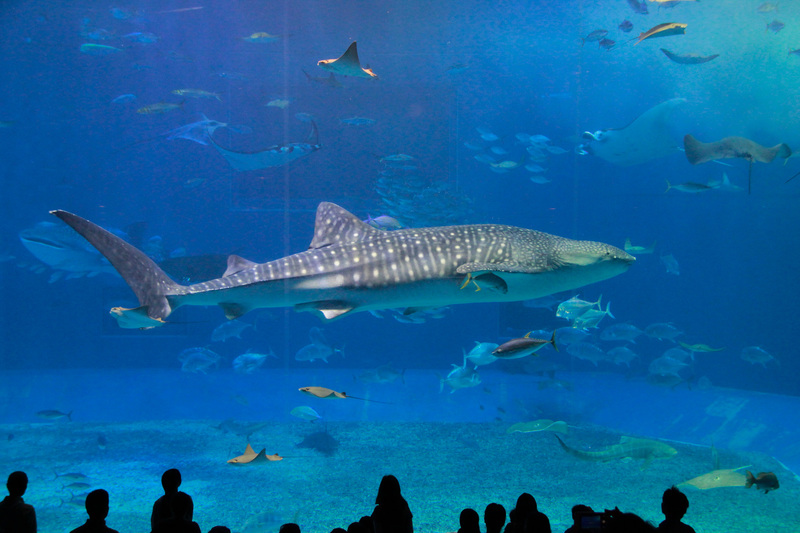 The main island also boasts a huge aquarium called Okinawa Chuarumi Aquarium, an American “theme park” and shopping area called American Village and also the Nakagusuku Castle Ruins. 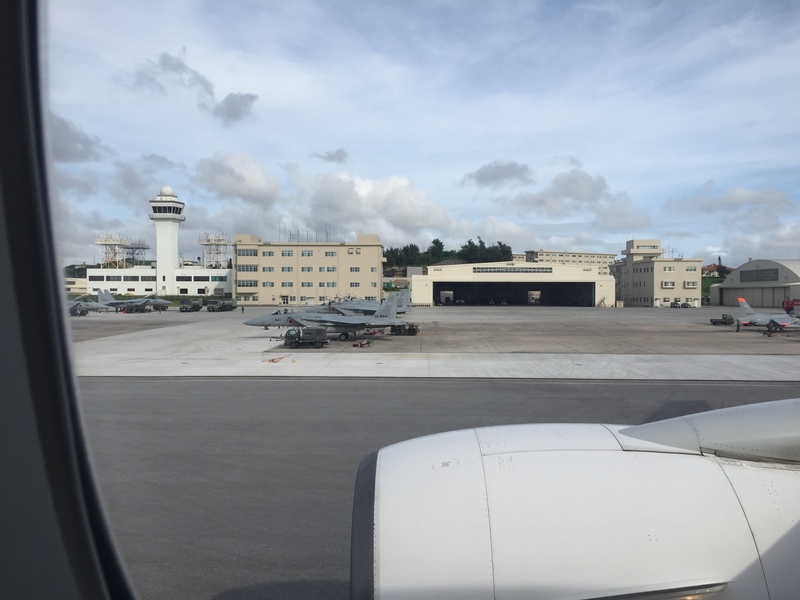 Okinawa also has American military bases on it, so don’t be surprised, when you see fighter jets on the airport or a radar aircraft fly over your hotel. Many recommend hiring a car, because if you go outside of Naha, there isn’t much public transport to speak of and taxis are expensive. We thought about this, but in the end we only wanted to take it easy at our hotel, so we had no need for a car. Most places in Okinawa have a variety of smaller Japanese cars available, but I happen to like European sports cars more, so if I would have rented a car, I would have probably used Celeb Rent-A-Car because of their options. I have no idea, how good the company itself is, so do your own due diligence when renting a car. They weren’t proficient in English, when I contacted them, so maybe you should let your hotel handle the rental. The company had cars like Aston Martinis, Mustangs (for the people who like American muscle cars) and my favourite – the Audi R8. Because I love luxury travel and did a collaboration with Ritz-Carlton Okinawa on the island, it’s no surprise that I want to recommend them wholeheartedly. If however it’s out of your price range, there are a lot to choose from including Marriots, Hiltons and many Japanese hotel brands, so I think everyone will find something they like. If you take your hotel from the center of Naha, it’s of course easier to get around and find car rental companies, but I wouldn’t come all the way to Okinawa for the city life. That is why I recommend going further north to more serene areas or perhaps taking a boat to the smaller islands. It all really depends on what you are after. Okinawa consists of tropical islands so it’s pretty much always warm there. However the best times to travel are March to May during Spring and September to December during Fall. Remember that typhoon season can last all the way to October, so if you decide to go at the end of the year, I think the best time would be in November. All in all I recommend Okinawa as a destination for everyone interested in good weather, activities and relaxation. Also if you want to experience excellent hospitality and luxury hotels, you should definitely go there. 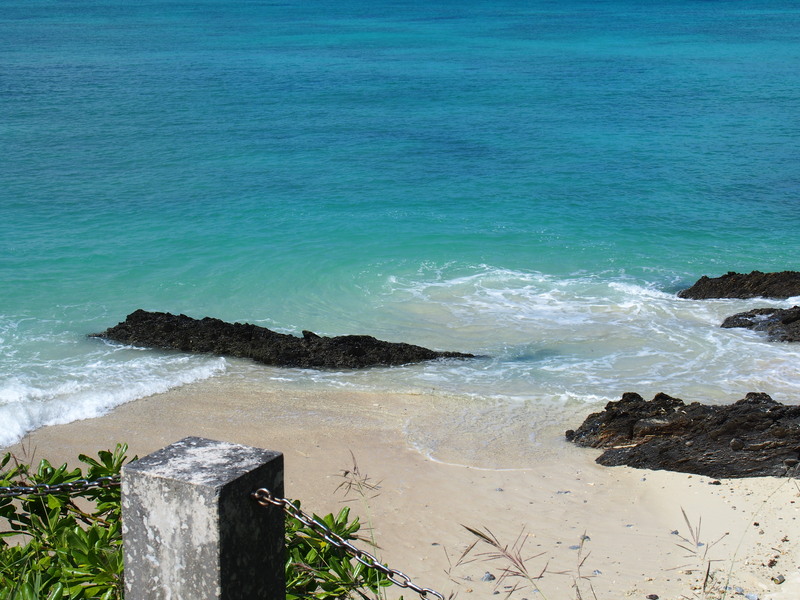 Have you visited Okinawa before or are you planning on going? I’d love to hear your recommendations and opinions about this lovely island. Thanks for the good tips, Jenna! I haven’t got that much knowledge yet, because we’ve only visited Okinawa once, so all of this is good to know. Hopefully your comment will be helpful to others reading the post. Ritz-Carlton had that safety net on the private beach, which is a good thing to have. I’ve never tried snorkeling, but maybe I should give it a go on Okinawa :). Great roundups with great images Jerry. 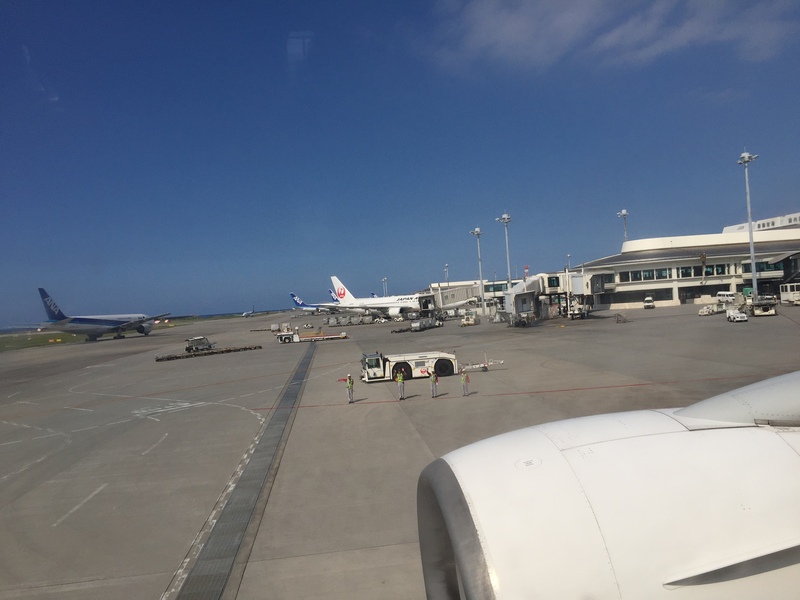 No I’m not planning on going to Okinawa which is why I like go there via blogs like yours. Hi 🙂 What time of year did you take your trip? Right now I am trying to plan my first Japan trip (about 1 month long) and I am feeling rather conflicted over the fact that warm-water-season also seems to fall at the same time as typhoon season! (I may very well be wrong on this.) Anyways, I am hoping to beat the rain but I would also not like to swim in freezing water either! I’m so sorry it took ages for me to respond. My notifications didn’t work like they should, so I didn’t see this before now :/. We were in Okinawa at the end of October. I’ve only been there once, so I’m not an expert, but even though it wasn’t the rainy season, it still rained every now and then, but it didn’t really matter, because it stopped really quickly. So the tropical nature of the island means that there might be rains, but you always get sunshinse straight after it :). If you want to avoid the typhoon season, I would go in November. October is at the end of the typhoon season, so the risk is small, but still there. November shouldn’t be a problem. If you go at the beginning of the month, the water should still be warm. We had something like 30 celsius weather in Okinawa, so the water was still really warm. I hope this helped. Have a great trip to Japan :D!